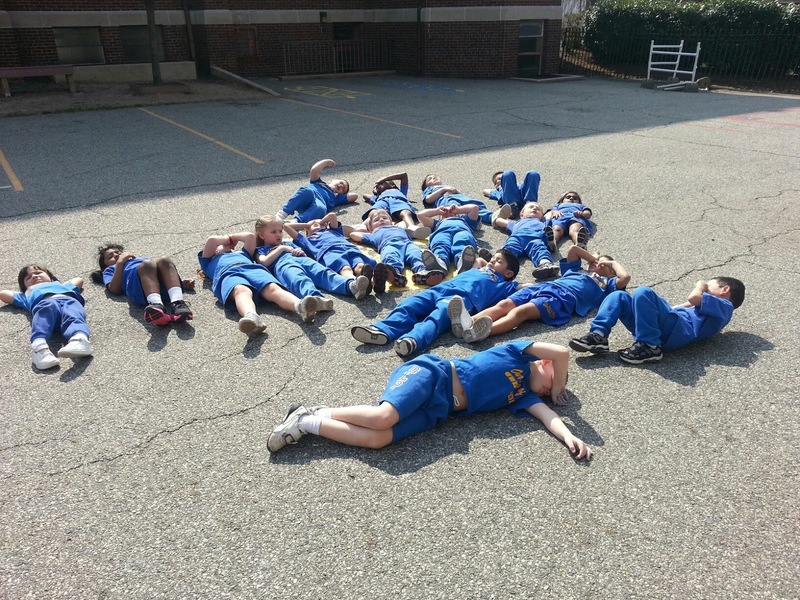 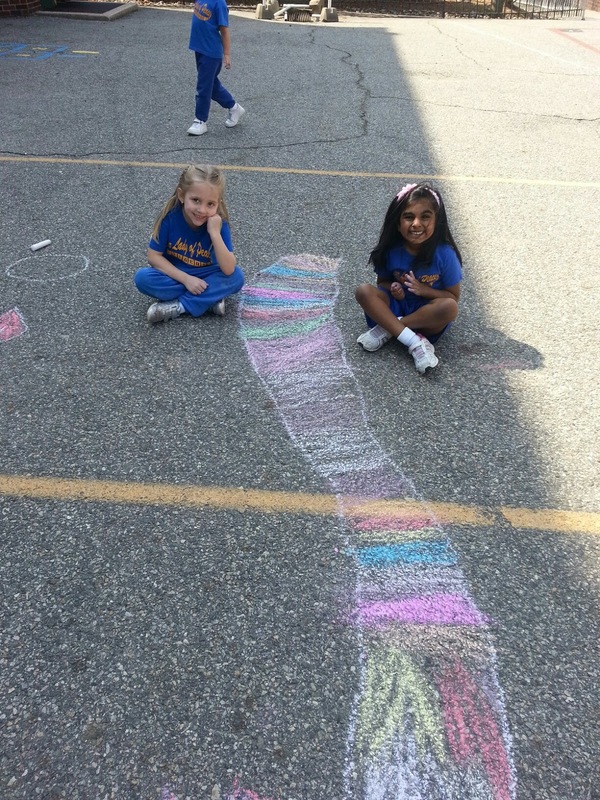 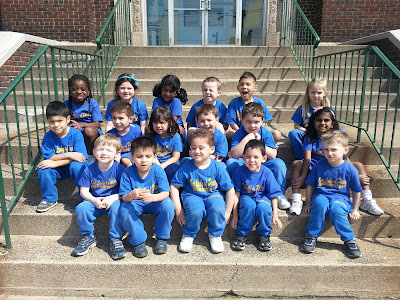 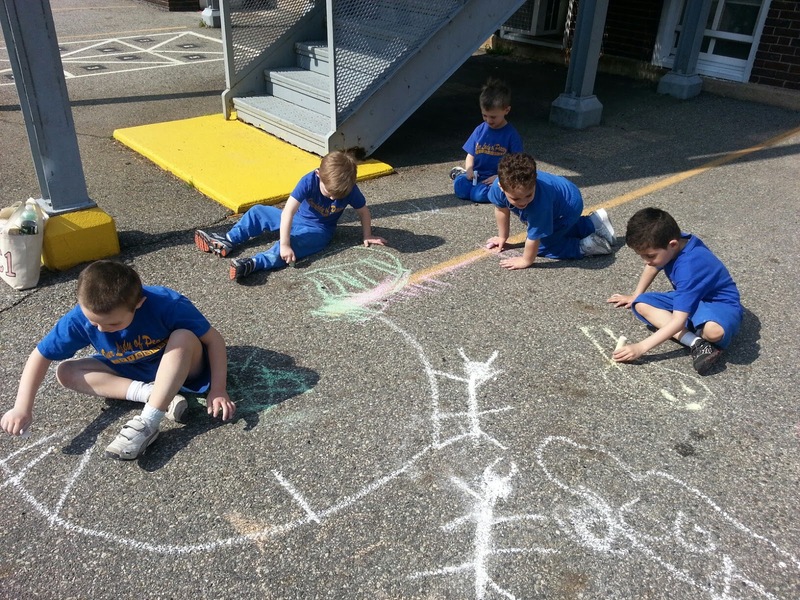 Mrs. Kelly's Prek4 brought their lessons outdoors. 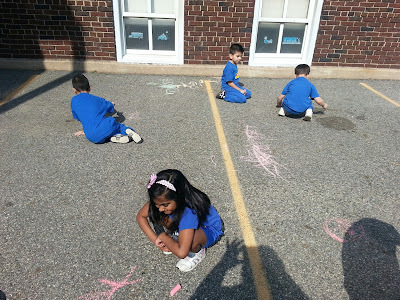 They studied the clouds and drew what they saw. Later on in the week they took advantage of a beautiful summer like day.